SLOLLIE Keep your outfits casual all season long. 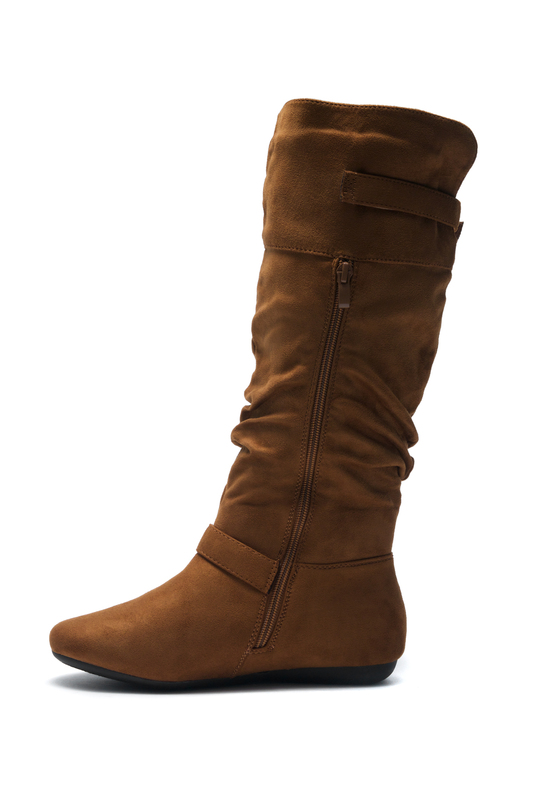 This pair features a faux suede material, adjustable straps, calf length cut, side zipper for closure and cushioned insoles. 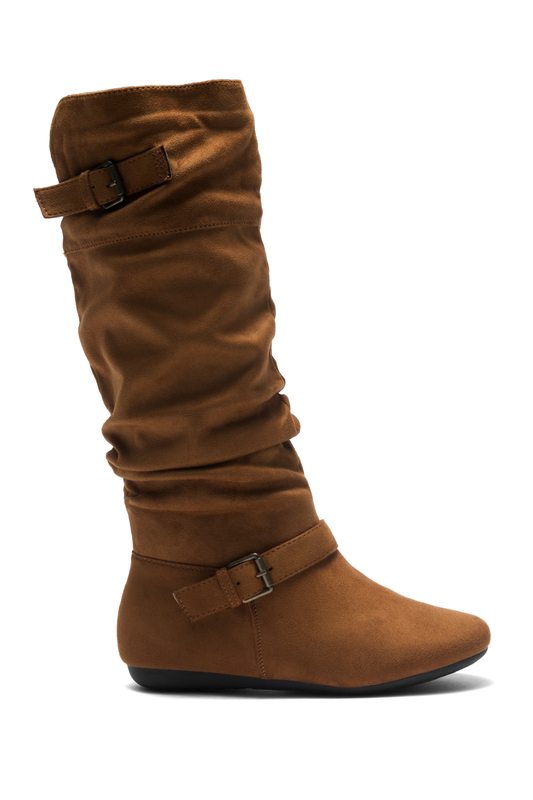 Pair these boots with any casual outfit of your choice for a seasonal look. Available in Black, Red and Cognac. Boot opening measures approx.17 inches. Boot Height Approx. 15.5 inches. I\'m pleasantly fascinated by how comfortable they are. I really can\'t wear really high boots because it KILLS my feet. 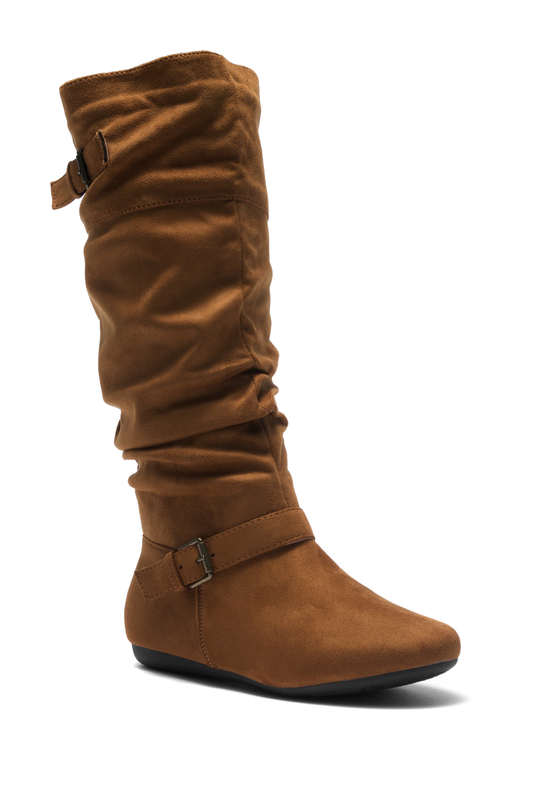 I am happy the Shoeland offers flat boots that make it more stable and comfortable. I write this review because I just like the boots big time. The end.